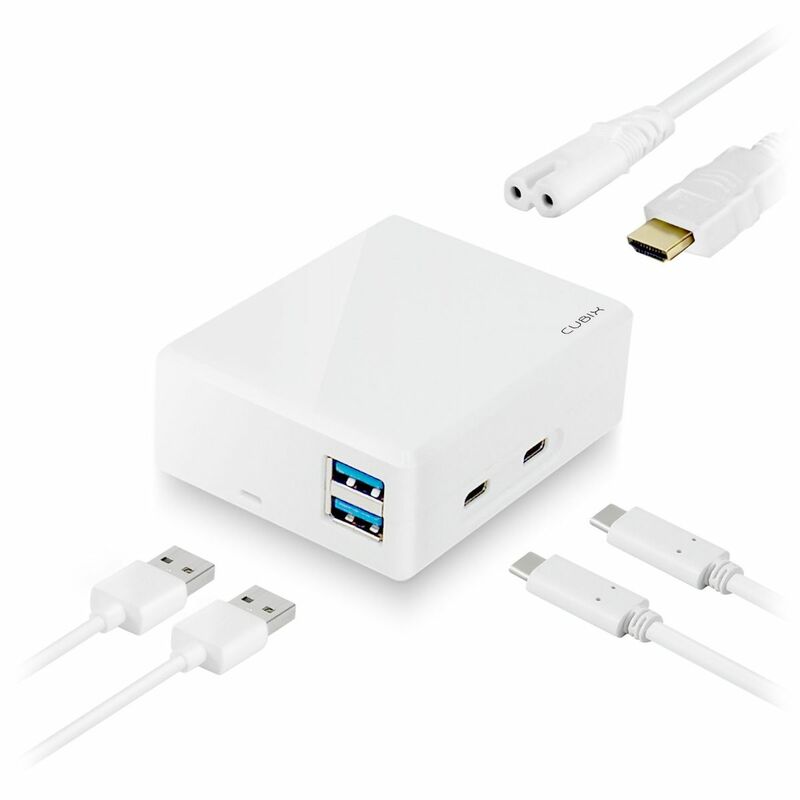 Cubix provides 2 x USB-A 3.0 ports for peripherals such as keyboard and mouse, while supporting high-speed data transfers for your USB-A thumb drives and HDD’s; 1 x USB-C data transfer for your USB-C smartphone or USB-C SSD, 1 x USB-C Power Delivery lets you charge MacBooks and other USB-C laptops. 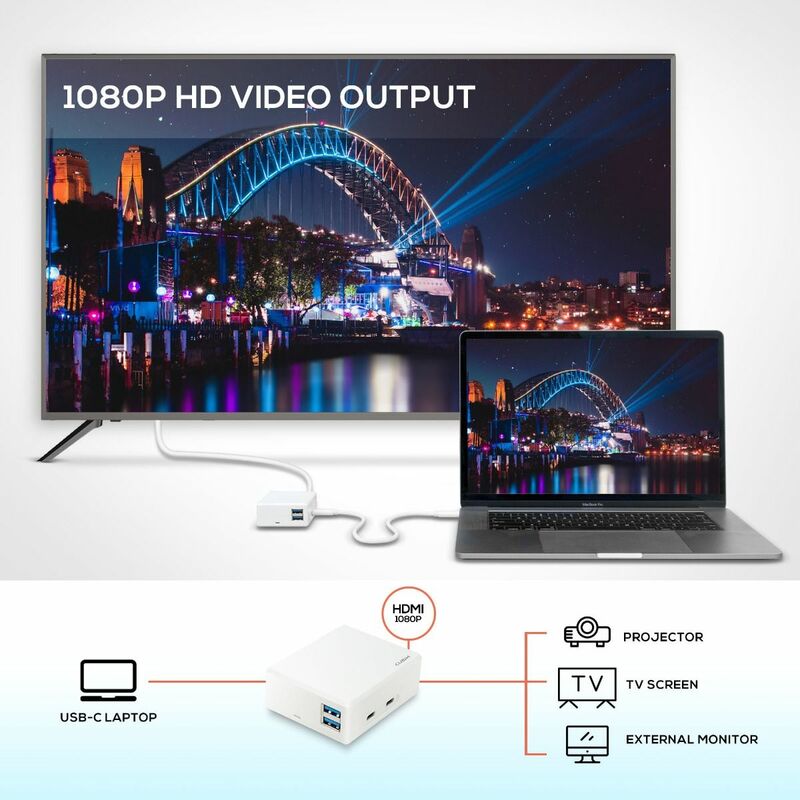 Cubix provides 1 X HDMI port for extended video display up to 1080p, ideal for connecting to an external monitor or projector, enhancing visibility and productivity during work or presentation. Carrying two separate charger and a bulky docking station is a thing of the past. 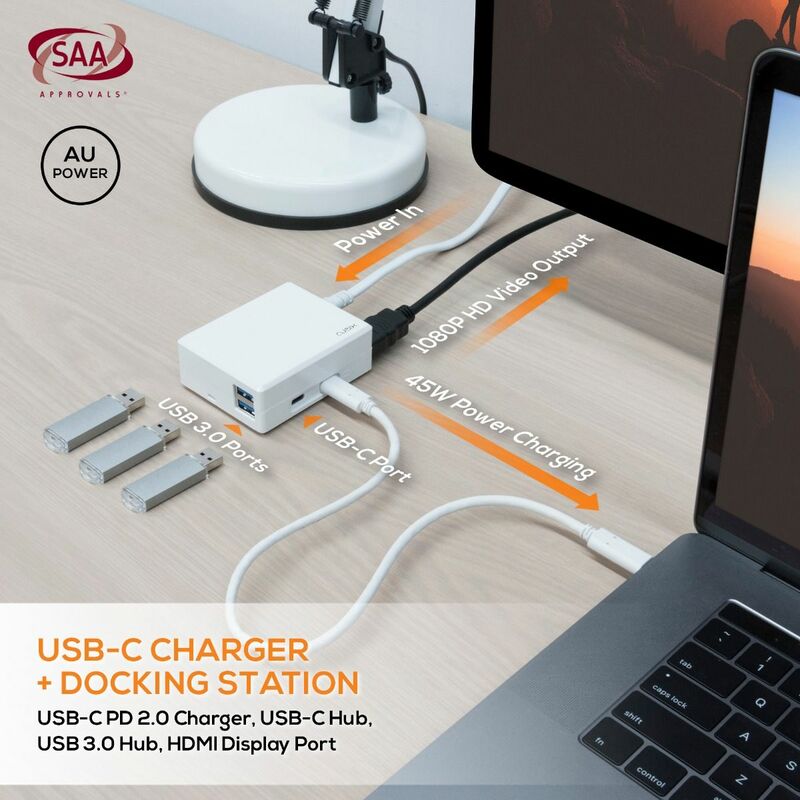 The Cubix is like no other docking station you can find; it has built-in USB-C Power Delivery 2.0 charging, massive 20V/45W direct output to enable charging to your MacBook or other USB-C PD compatible laptops. This truly effortless solution eliminates the necessity of carrying the USB-C laptop power supply. Cubix keeps your important gadgets topped up. 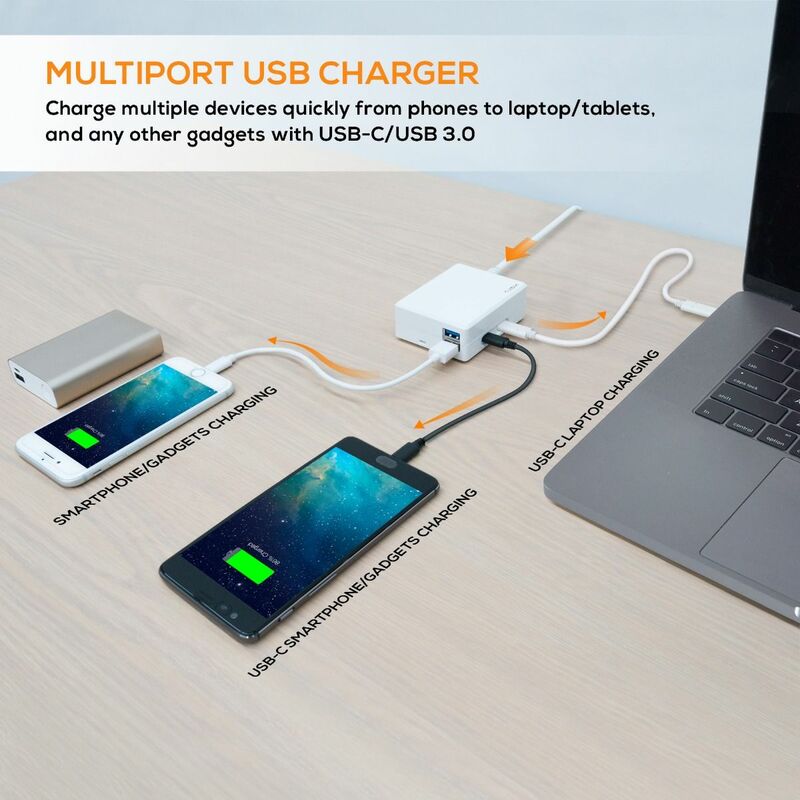 Not only does it serve as a USB-C laptop charger, it is also a multi-port USB charger in your pocket. 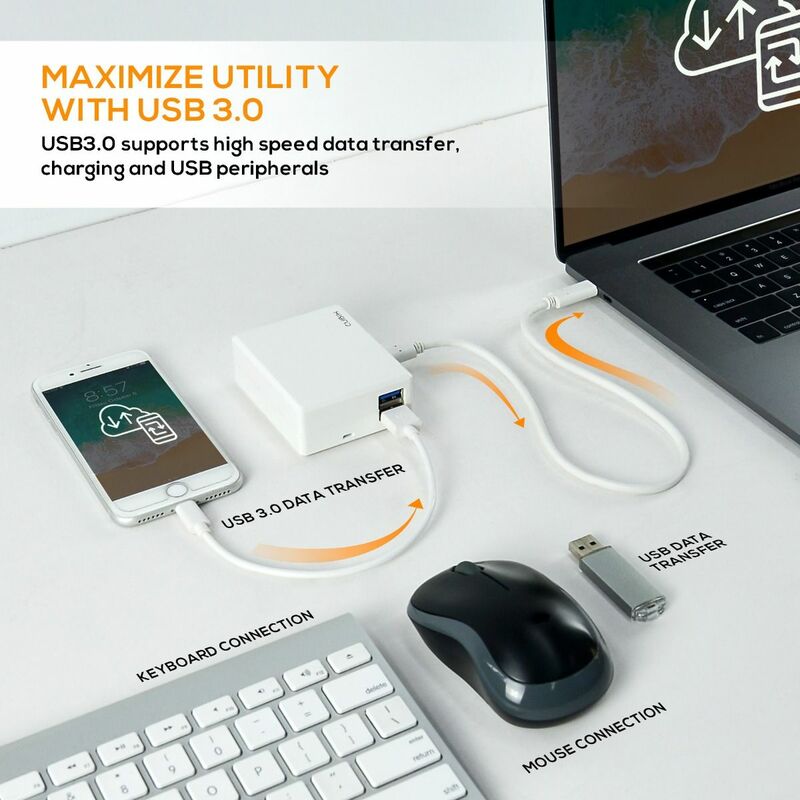 Cubix’s USB-A port and USB-C port are designed to provide stand-alone charging ability to power your multiple smartphones and tablets on the go. 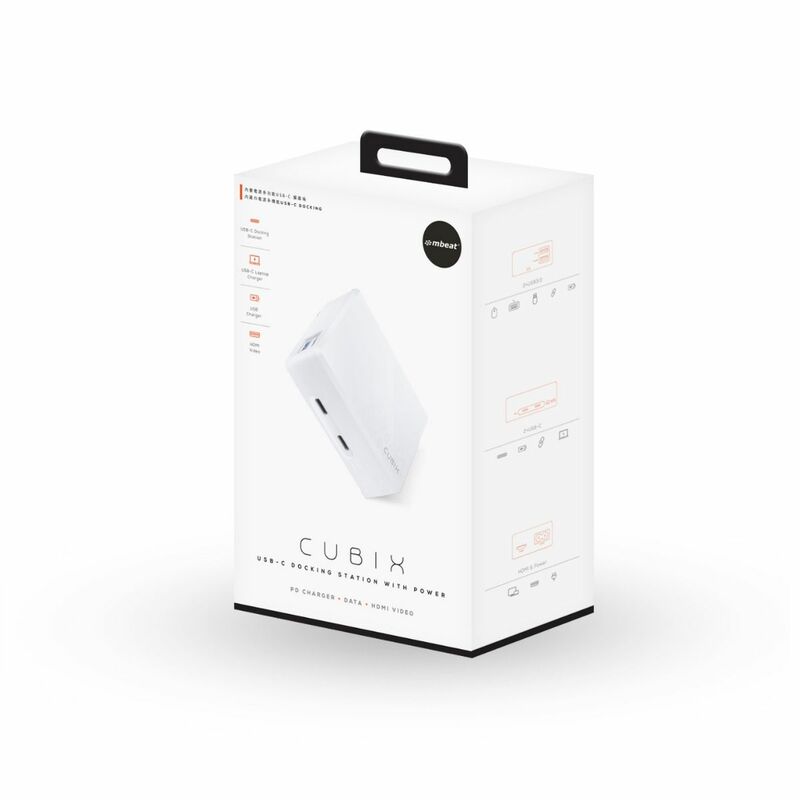 The Cubix is roughly the size of a standard deck of cards, weighing approximately 230 grams; it is the smallest built-in power docking station in its class. With multiple levels of built-in safety and fail-safe, and approved by Australian SAA safety standards. Supports USB3.0 Data Transfer Up To 5Gbps and Backward Compatible with USB2.0. 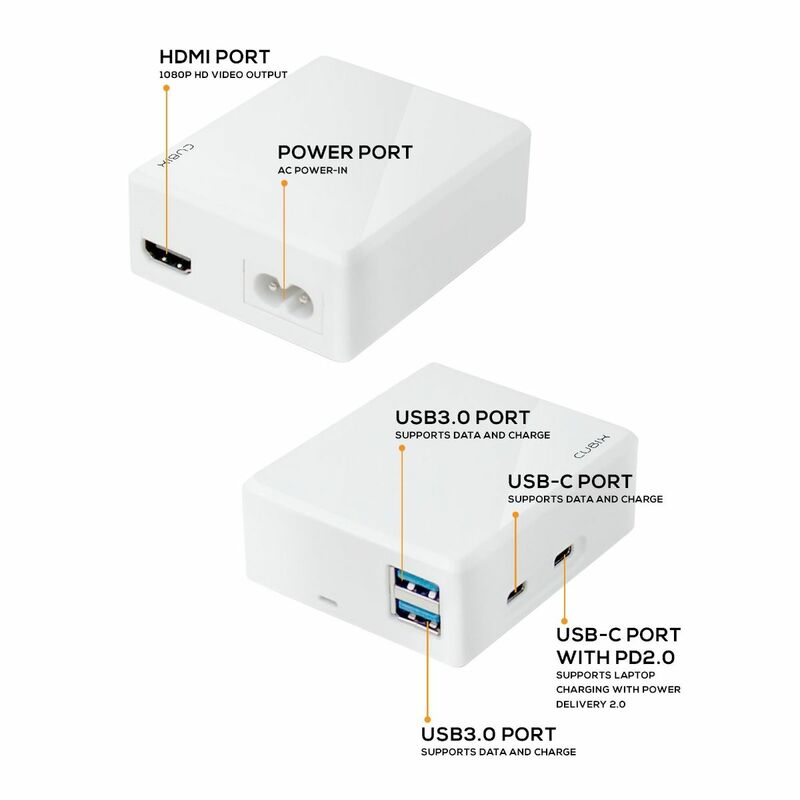 Support USB-C (USB3.1 Gen1) Data Transfer Up To 5Gbps. Supports USB Battery Charging Specification 1.2. Supports Up To 192kHz Video Frame Rate and Up To 24-bit Audio Sample Size. Safety Features Include Over Temperature Protection, Over Current Protection, Over Voltage Protection and Short Circuit Protection.